Are You a Senior Citizen Shopping for a Life Insurance Policy? If so, you may be wondering which type of plan is best suited for your needs. The answer depends on your personal situation, your budget, and what you want your life insurance policy to accomplish. Life insurance can provide your loved ones with financial security after you are gone. Whatever your reasons for buying life insurance, there are plans available to meet your needs. What Type of Life Insurance is Available for Seniors? There are two basic types of life insurance: Term and Whole Life. Term life insurance is temporary, offering coverage for a duration of 5, 10, 15, or 20 years for seniors. Whereas, Whole life insurance lasts your entire lifetime, but costs more than term life. The decision on which type of life insurance to buy usually comes down to how long you need coverage. If you need life insurance for 20 years or less, term life would be the more affordable option. If you need life insurance guaranteed to last your entire lifetime, whole life is a good option. What Type of Senior Life Insurance is Cheapest? As mentioned above, term life costs a lot less than whole life insurance because it is temporary, and you may outlive the duration of your policy. If you have health issues, you may qualify for term or whole life coverage from a high-risk life insurance company. What If I Have Been Turned Down for Life Insurance? These are some of the more common reasons seniors are declined for a life insurance policy. However, you may still have another option to get insured. 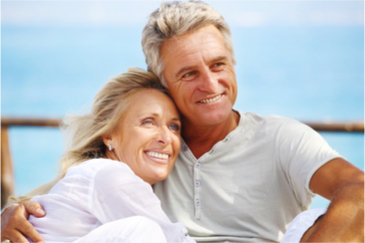 There are life insurance policies available with guaranteed approval for seniors who meet the age requirements. In addition, the maximum amount of guaranteed coverage may vary by insurer, usually from $20,000 to $25,000. If you need more life insurance from a guaranteed issue company, you may be able to purchase a policy from more than one insurer. With guaranteed issue life insurance, you will not have to answer any questions about your health, or take any physical examination.